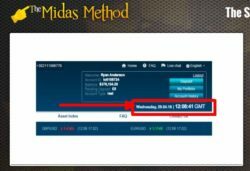 In this review we prove that “The Midas Method” is a binary options scam that can make you lose money. In the Midas Method presentation you can hear that this system can make you $1,350 per day. The anonymous author claims to be taking 20 new students per week that will achieve this income. The places are free, so you allegedly can be making this money for free. You should even get $250 to start trading. Let’s start proving that we are dealing here with a scam designed to take money away from you. 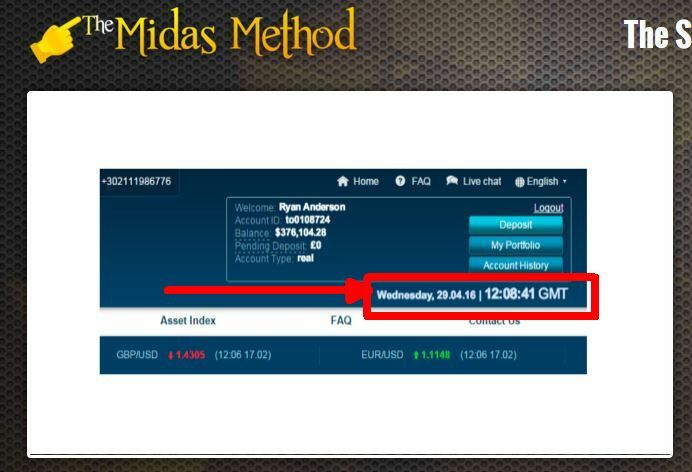 In the Midas Method video you can see a binary options trading account screenshot showing a big balance. It is supposed to convince you that the trading system works. But the screenshot has been faked. Just look at the date April 29. In reality it was a Friday, not a Wednesday as shown on the picture. Total fake. 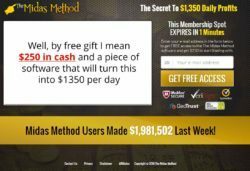 The Midas Touch Method presentation can make you think that you will start making money for free, because you will even get a free $250 deposit. But it is a lie. 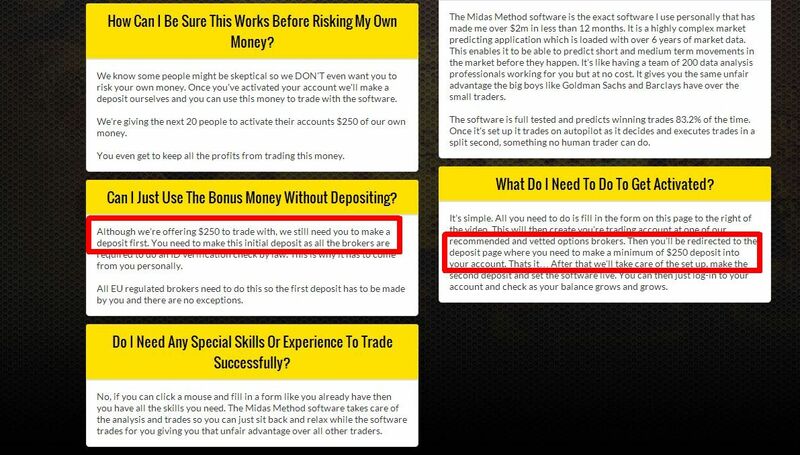 The first thing you will have to do is to deposit your own $250, otherwise you won’t be allowed to use the software. After that you might get some kind of deposit bonus, but you won’t be able to withdraw it and losses will be deducted from your deposit, not the bonus. We also had look at the software that is supposed to generate your new income. And guess what? 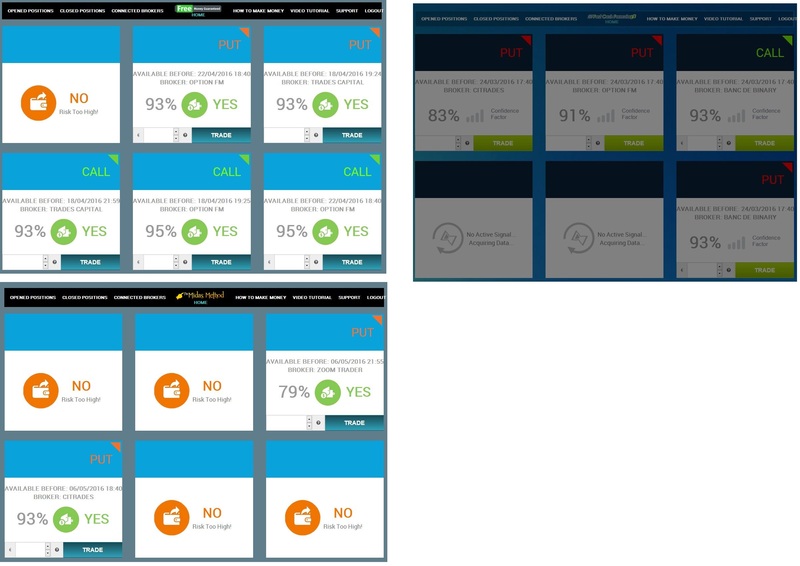 It is a very well-known app used by binary options scammers. Look at the picture, it has been used by Free Money Guaranteed and Fast Cash Formula scams. It is exactly the same software, only the logo changes. 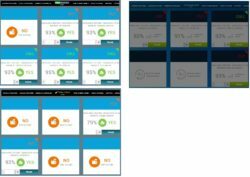 And people have lost a lot of money with this app, we have a lot of feedback about it. 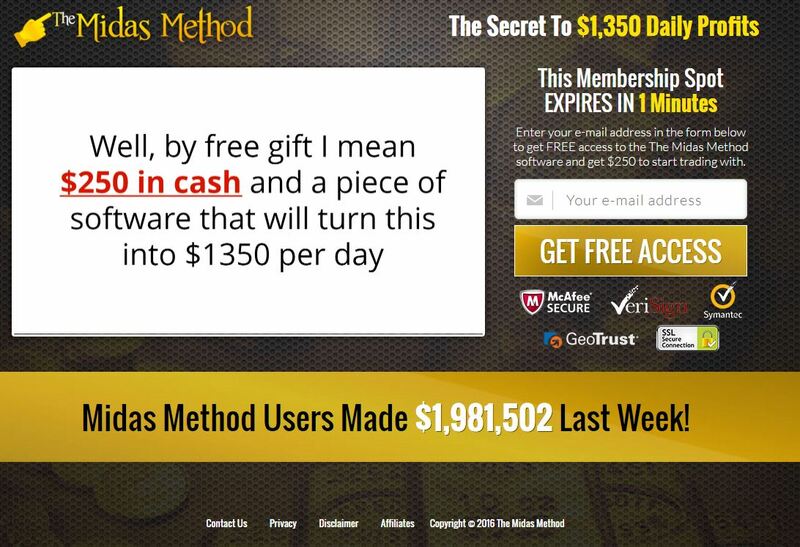 The Midas Method is the usual scam scheme, they are trying to convince you to deposit with lies and false promises. If you let the Midas Method app trade with your money, you will lose it. If you want to see how money can really be made in binary options trading, try a free demo. Nobody will make you money for free, you have to learn trading.